This machine allows up to 40 rolls per minute to be automatically cut, buttered and wrapped in aluminium foil 7, 9 and 11 inch rolls. Adjustable amount of butter in each slice. 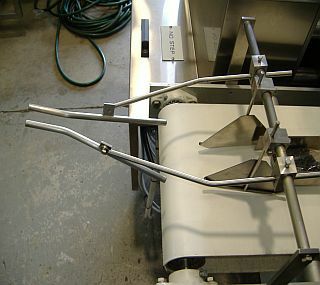 High pressure butter pump for thick butter or other mixtures. Foil direct from reel, rolls individually wrapped. 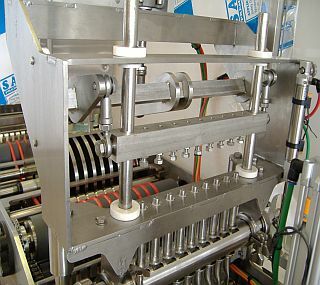 The buttering section of this machine is supplied with a MAKUM butter pump system which delivers the butter to the volumetric charge cylinders at the butter nozzles. Each volumetric cylinder is adjustable to give you full control over the amount of butter in each slice. 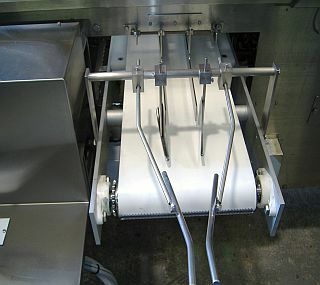 The ‘Bread Roll Carriers’ hold the bread roll in position as it indexes through the machine for slitting and buttering. A small retaining clip on each holder ensures a firm hold on the roll during indexing. 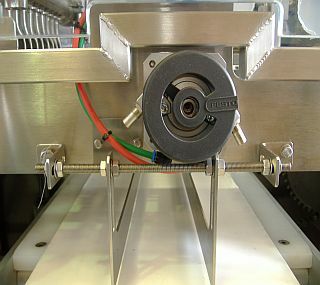 The ‘Infeed Safety Guard’ will stop the machine if anything higher than the pre-set height tries to enter the machine. The ‘preset’ can be adjusted. 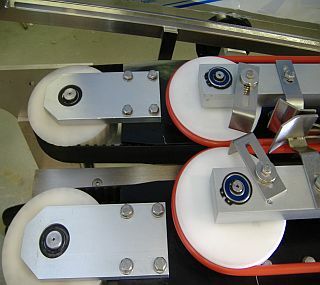 ‘Roll Length Stops’ are also adjustable to allow the positioning of the roll relative to the slitting blades. The Main Carry Chain features external tension adjusting bolts for easy adjustment of the main chain if required.